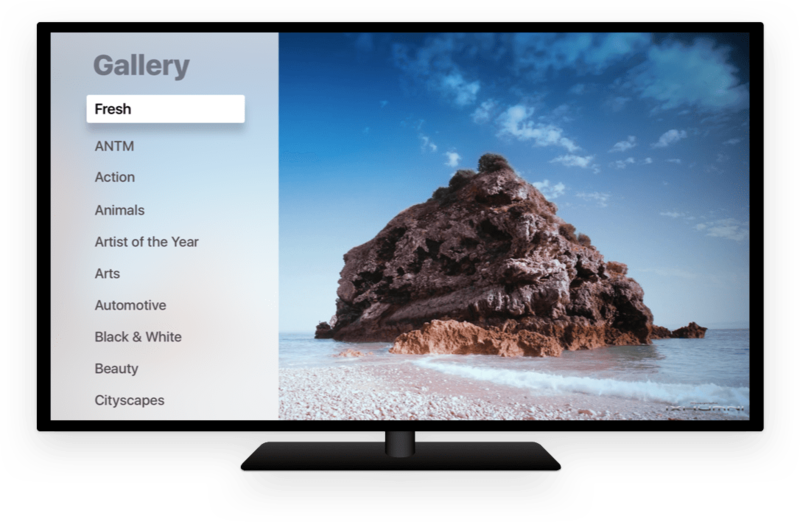 Flixel brings the world’s most beautiful cinemagraphs to your Apple TV with Flixel TV. The app allows you to display your cinemagraphs, along with the work of thousands of other Flixel Artists, in your home, office, or a gallery. And the best part - it's free! Flixel TV also includes tutorials and behind-the-scenes content created by the Flixel team and professional creators. Flixel TV can be downloaded in the Apple TV App Store. Select Settings on the main menu and sign in with your Flixel ID to view cinemagraphs that have been uploaded to your profile. Apple TV. tvOS 10.0 or later.